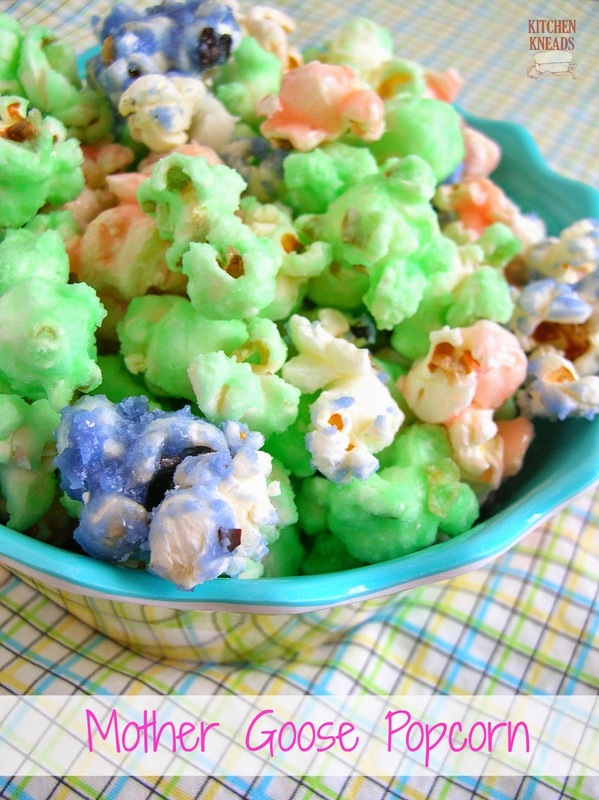 Mother Goose popcorn is a fun, kid-oriented spring or Easter treat. I remember when I was a youngster, my mom would make this popcorn. She’d pop the popcorn into a large paper grocery bag and one of the kids would shake the bag while she poured the sugary syrup in. This helped to evenly coat the popcorn and gave us the opportunity to help make it. And it doesn’t even have to be a spring or Easter treat. You can color it in any combination for whatever holiday or celebration you’re having. It’s fun, easy, and totally addicting. *These ingredients can be found in our store. Combine sugar, butter, cream of tartar, and food coloring in a medium saucepan. Bring to a boil; boil for 4 minutes stirring constantly. Pour over popcorn and stir to coat. Pour popcorn out onto wax paper to cool. Pink dry popcorn! I forgot about this stuff! My best friend and I made it constantly when we were kids but I've never seen it since. It is gloriously sugary and junky. (grin) I think I'll have to make a batch for the Easter baskets this weekend. Thanks! Okay, I made some this afternoon and it was so fun! I had to make a half batch because that's all my mixing bowl could fit, but it was plenty for the Easter baskets and some left over for us. I used the larger amount of popcorn and liked that thickness of coating. I remembered there being water in the pan when we made it as kids so I added 1/2 cup (for the half batch) and it worked out just right. It is just as sugary delicious as I remember and I can't wait to lay it on my sisters this weekend. Thanks for a great childhood recipe. Is there really no liquid in this recipe?